Item # 312705 Stash Points: 5,995 (?) This is the number of points you get in The Zumiez Stash for purchasing this item. Stash points are redeemable for exclusive rewards only available to Zumiez Stash members. To redeem your points check out the rewards catalog on thestash.zumiez.com. 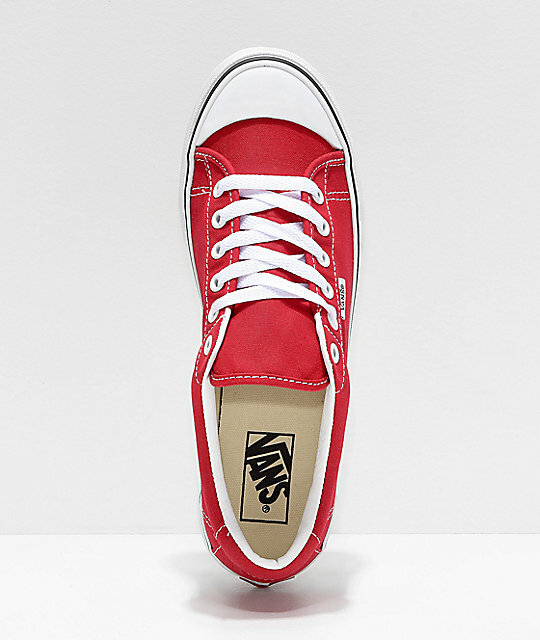 Upgrade your Vans collection with the Style 29 Racing Red & White Shoes. 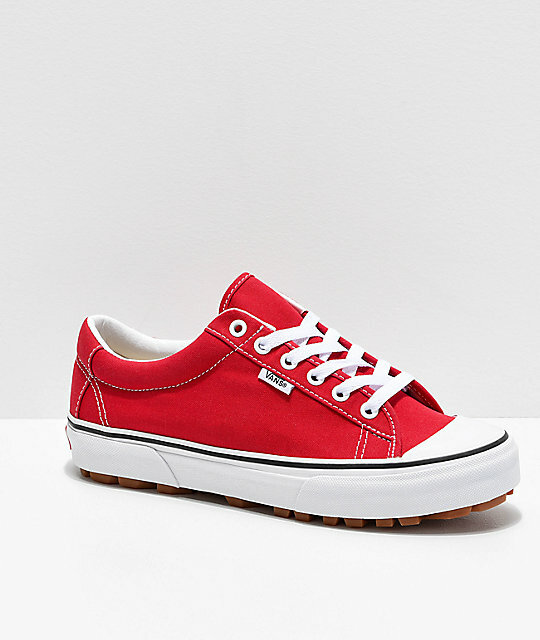 These bright red shoes are highlighted by white Vans logo detailing for contrast and branding along with reverse waffle lug tread for a fresh silhouette with tons of traction. 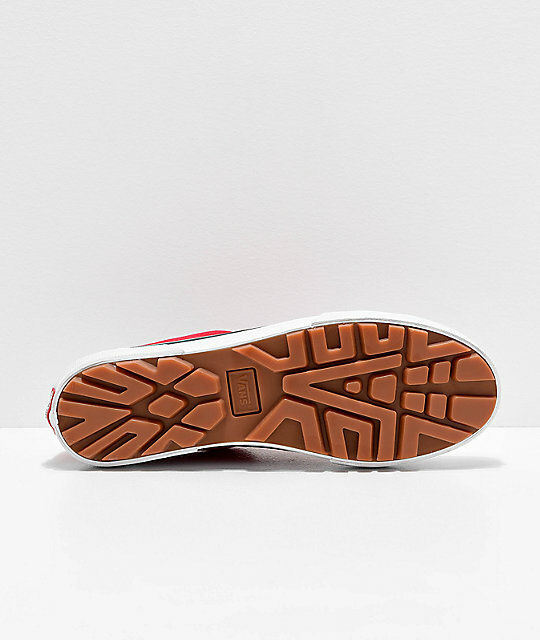 Finished with moderate padding throughout the footbed and collar, these shoes are super comfortable too. 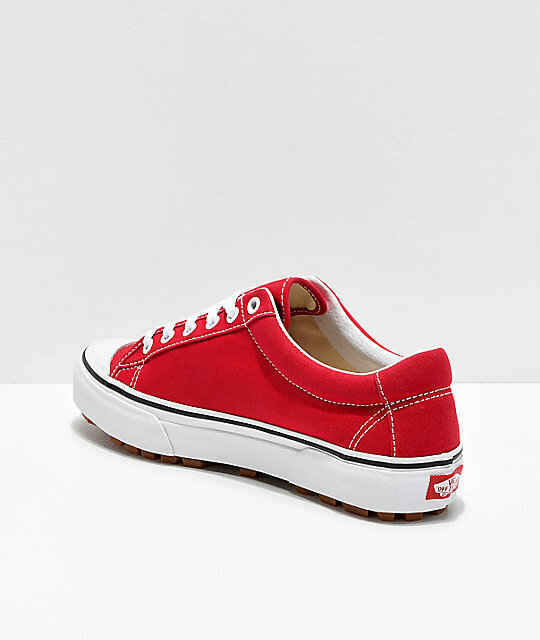 Style 29 Racing Red & White Shoes from Vans. Reinforced rubber wrapped around toe for durability.